The World Food Programme (WFP) is providing food assistance for those most urgently in need of support in what has emerged as one of the world’s worst hunger crises, 2019. Reports from Yemen’s Hajjah Governorate indicate that scores of civilians have been killed following attacks on residential areas over the past two days. Medical sources suggest that at least 22 have died, with more than 30 injured during the bombardment. 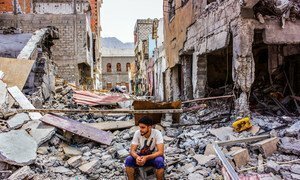 Responding to the violent deaths of five children in the Yemeni port city of Hudaydah on Thursday, Henrietta Fore, Executive Director of the United Nations Children’s Fund (UNICEF), said that Yemen’s civil war continues to take a “horrific toll” on children.